conference | How's My Feedback? It took a while, but the videos of the conference talks are now online. Have a look and indulge in some challenging talks around online reviews, ratings and rankings. You can watch all videos also on our Vimeo account. 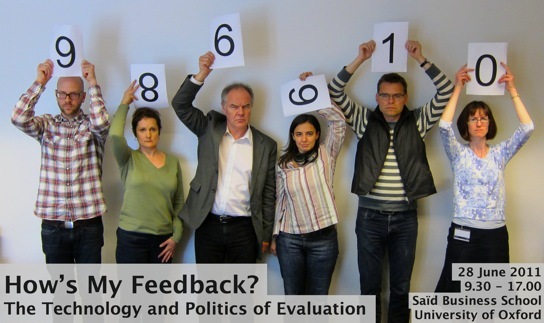 It’s only a week until the How’s My Feedback? conference in Oxford. 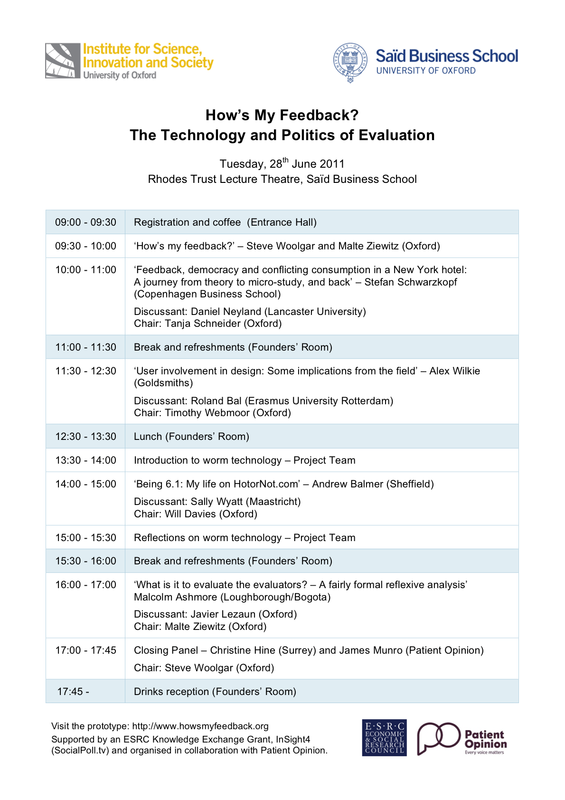 We now have a preliminary programme for the day with a great line-up of speakers, talks and topics. Specifically, watch out for the world premiere of a brand-new feedback technology — and of course the prototype, which we will share with you shortly. If you haven’t signed up yet, please do so as soon as possible. There are only a few spaces left.